Home > How can you measure the value of a webpage? 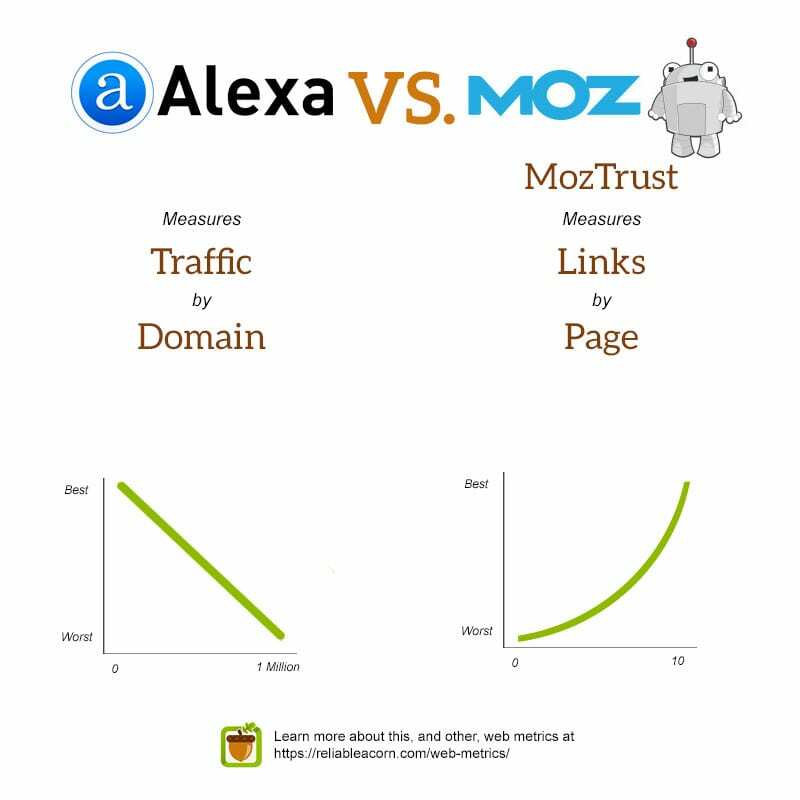 > How is Alexa Rank different from MozTrust? How is Alexa Rank different from MozTrust? MozTrust measures the quality of backlinks to a particular webpage. The higher the MozTrust value, the more trusted websites are linking to a particular page. MozTrust is provided as an exponential scale between zero and ten- where a page with a zero MozTrust suggests no trustworthy sites are linking to it and a MozTrust of ten has several very trustworthy sites linking to it. It’s also important to remember that MozTrust is provided in a logarithmic scale. That makes it much more difficult to move a page from a MozTrust of 4 to 5 than it takes to move a page from 3 to 4. Alexa Rank is very different than MozTrust. For one, it measures an estimate of traffic not links. Alexa Rank also relates to websites as a whole, not individual web pages. The Alexa Rank number also represents the one million most popular websites in order. That means a website of Alexa Rank of 10,000 receives slightly more traffic than a website with an Alexa Rank of 10,001.